Whenever I go to the store, I usually walk by the stationery department. There are so many varieties in colors and themes to fit your style. Now, it doesn’t take long to find the perfect card for the right moment. HomeGoods has a nice selection of individual cards with unique designs. If you want to purchase in multiples, Target, Wal-Mart, and Papryus are great venues as well. 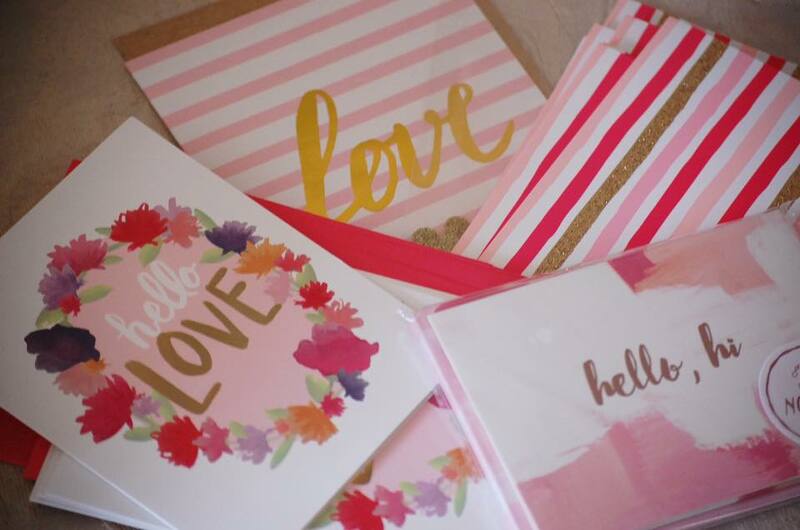 Etsy provides online vendors the opportunity to share their creativity through cards as well. Check it out! I know it’s not as popular to do anymore. Maybe it’s old-fashioned and takes more time than sending a text (there’s nothing wrong with those!). But the next time you’re in the store, visit the card section and pick up one. Or two. Then, you’ll have a few handy when the occasion arises. It’s a great way to share joy!